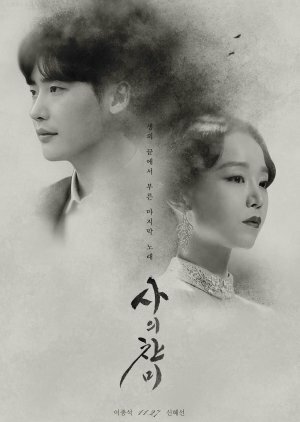 Saui Chanmi , Hymn of Death , Praise of Death , Death Song , He Hymn of Death, Kim Woo Jin is a stage drama writer while Korea is under Japanese occupation. He is married with children, but he falls in love with Yun Shim Deok. Shim Deok is the first Korean soprano. She records the song “Praise of Death” which becomes the first Korean pop song in 1926. Woo Jin and Shim Deok’s fate ends tragically.